Setting up an industry is not a simple task and it can use several of different technology to design the system and eliminate the redesign. Out of other important systems the industrial cameras are the very important and specific one. These camera are responsible for machine vision system and specify the parameters required for the better image and framing. These industrial cameras should be very precise and accurate about the values, so that the industrial processes are not altered. In fact the camera should be of specific features which is required by an industrial professional. Now, if you planning to purchase the industrial camera then you should be very specific about comparing its features and value for money. However it would be if you follow the rules and directions of the professional in the industry. Moreover, here are few points which one should always remember while purchasing the industrial camera for you. Starting with first, the camera should be CCD because, these cameras are best in low light situation. However if you will choose the CMOS in CCD’s place then the camera will produce a lots of noise and disturbance in low light intensity. However if the pricing of the cameras are considered then the CCD are highly expensive over the CMOS but can be fruitful for higher resolution and quality. So, it is very clear that both the cameras are good and their own pros and cons. Hence, you should choose one out of them according to your need and budget available. Well, on searching the cameras based on CCD and CMOS technology, you will find plenty of cameras in the market, but all will good this is not sure. Therefore, you should not blind faith them. However, there is camera which can be picture perfect for you, which is Panasonic GP-MF602. This is the series of Panasonic cameras specially, manufactured by the company for industrial purpose, the camera is based on the CCD technology with electronic shutter trigger. The camera has an asynchronous frame reset mode with sensor gate control for extended exposure. 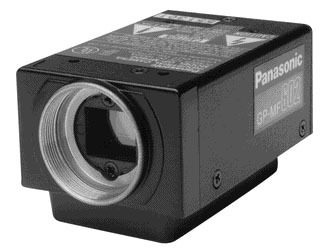 So, you should better choose Panasonic Industrial Camera gp-mf602 for better performance.